All things considered, there are better places to die than New Jersey. Currently NJ is one of the few lucky states where the assets of the deceased are subject to both an inheritance tax and an estate tax, in addition to federal estate tax obligations that might apply. What’s more the threshold for estate tax exemption in New Jersey is only $675,000.00, a threshold many families and individuals will exceed, while the federal exemption is a whopping $5.34 million dollars affecting mostly the estates of the rich. While Maryland and New York have both opted to substantially raise their Estate Tax Exemption, there has been no attempt thus far to bring NJ state tax exemptions in line with federal amounts. However, at the beginning of June NJ state senator Raymond Lesniak announced he plans to introduce legislation to repeal New Jersey’s estate tax and reinstate the so called “millionaires tax”, a non-death related tax on household incomes over $350,000. One of the main reasons why this is being discussed is to close the $2.7-billion state budget shortfall through June 2015. It is estimated this proposal will bring in $850-million each year, which is required to close the fiscal year’s budget gap. Despite its good intentions, it is likely the entire repeal exercise is a non-starter as Governor Chris Christie has promised to veto any attempt to reinstate the millionaire’s tax. Without this, a repeal or raising of the estate tax is unlikely as it would not have any offsetting revenue component and would drive the state further into a budget deficit. So for the foreseeable future, NJ residents are stuck with both the inheritance and estate tax with its extremely low threshold. If you are concerned about your obligations under these taxes in New Jersey, Frank Campisano can help you design a strategy that gets more of your estate into the hands of your heirs and less into the hands of the government. To speak to a skilled NJ estate tax planning professional call Frank Campisano and the team at SCC Legal now. We are here to give you the updated, clear-cut estate planning advice you need. If you have children and grandchildren, you can use a rollover IRA during your retirement which will pass your wealth on to your younger beneficiaries. If you do not plan for this, your living spouse will get all proceeds of your Will. People incorrectly assume that family trusts are only for wealthy people. A carefully planned trust holds a number of benefits, such as ensuring that ex-partners and spouses do not to get access to funds and assets, as well as making sure your wealth is distributed exactly the way you want. You can also stipulate certain terms of the payments, such as only designating specific amounts to children and grandchildren at certain ages if they are deemed too irresponsible to handle large sums of money at a young age. You can gift certain sums of money to your heirs (up to a certain amount) without it annoyingly being subjected to tax. This ensures your heirs can keep more of the money without having to pay tax to the government. New Jersey is one of only a few states that impose both an inheritance tax and a state estate tax. The NJ inheritance tax applies to anyone who lived or owned property in New Jersey and leaves the property to someone who isn’t a close relative. The tax rates are different in each circumstance because it is influenced by how closely the deceased and the person inheriting the property are related. Leading law firm, SCC Legal, has an in-house specialist who can help you ensure that more of your estate goes to your heirs instead of the government. 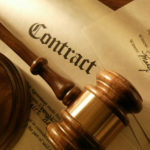 Frank R. Campisano is an experienced New Jersey elder law and employment law attorney. Frank is passionate about helping families and the elderly and he specializes in estate planning, will and trust administration and every area of elder law planning and preparation. Contact us today for help, we look forward to hearing from you. Estate planning – Do I really need to Bother? There’s a common misconception that estate planning is only for wealthy people, but each and every person that wants to leave the greatest amount of wealth possible to their children or loved ones should consider an estate plan and consider it now, not when you are at death’s door. An estate plan can be complicated but with careful and advanced planning with a good estate planning attorney you can insure that your heirs receive as much of your wealth as possible and in the manner that you want. How Soon Should I Begin My Estate Planning? Planning for your death isn’t always the easiest thing to do, But the fact is it is never too early to put your plan in place, particularly if you have young children or other dependents that would need care in the event of your untimely demise. The goal of an estate plan is simple enough: it is to ensure that your assets are passed on to who you want, when you want it and the way you want after you die. Your finances are very important and without careful estate planning years in advance, you may find yourself handing much more over to the government than is necessary. A good estate plan can solve both common and uncommon problems in the transfer of assets and in the planning for your care in your old age. 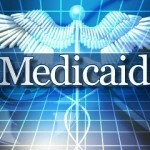 How to qualify for Medicaid financial help with assisted living or in-home care. How to minimize State and Federal Estate and Inheritance Taxes? What is a trust and how can it help me protect my assets from taxes? How are things like stock and real estate passed to heirs? How can I help prevent disputes between my heirs? How can I prevent my estate from getting stuck in probate court? Can I continue to support a Charity after my death? How do I pass ownership of my business after my death? There is no question that the larger and more complex your assets, the more you need an estate plan. Contact us today to find out how Frank Campisano and the team at SCC Legal can help you with all your estate planning needs. Elder law attorneys in New Jersey help people with any legal difficulty they may experience as they age. One of the common problems our aging population faces is in getting full benefits from aid programs that are available. After all, the purpose of your Medicaid is to enable you to take care of your health as you age, to cope with existing medical conditions and gain access to the medical professionals and medications you need. Sometimes this becomes hard to sort through especially as one becomes older and in this regard an elder law attorney can provide some assistance that saves money and increases your covered benefits and handles disputes with care providers and Medicaid authorities. Distinguishing between medical bills and the Explanation of Benefits form (EOB) from your Medicaid can be confusing, but understanding the paperwork and benefits your Medicaid offers is the first step in maximizing your coverage. The medical bill is sent by your medical provider and the EOB (which is sent by your Medicaid or insurance company) explains what you need to pay. These forms are usually sent if the amount your medical provider exceeds the benefits offered in your Medicaid. A good tip is to ask a medical provider or contractor if their rates are the same as the benefits offered in your plan before you book a consultation or ask your Medicaid company to provide you with a list of medical contractors who offer consulting fees that will be covered by your plan. It is also important to analyze the bills you receive instead of paying in full immediately. Unfortunately, these bills often contain inaccuracies and overcharges, so ask an elder law attorney to review your case and your bills for you. If you don’t have Medicaid, it’s in your best interest to negotiate with the medical provider. Many doctors and medical consultants offer a discounted rate for the elderly and will either be open to a discounted rate or an interest-free payment plan. Another way to maximize your Medicaid is to make sure you are benefiting from “visitors rights”. If you book a consultation with a doctor (such as eye exams, doctors’ visits and dental visits), the cost you pay out of pocket for the visit is deductible. The most financial disputes regarding Medicaid and elderly care revolve around discrepancies between treatments received and those billed for. If your Medicaid is refusing to pay for your treatments and medication, speak to an elder law attorney today. Hiring an elderly law attorney is a worthwhile strategy as they can explain all the benefits your Medicaid covers and follow up when the medical treatments you are billed for aren’t covered by your health insurance. At SCC Legal, caring for the elderly and their families is a sacred trust and one which we take very seriously. We know your Medicaid and health care situation and needs are unique and we are here to make sure you get the care and benefits you deserve. If you would like us to review your medical costs and deterimine whether you are deriving maximum benefit from aid and assistance programs like Medicaid, call Frank Campisano NJ Elder Law attorney today.